As if you haven’t heard enough about it yet: it’s autumn! If you’re around my age you might be settling in to university and, as with many parts of life, having RA can make that slightly more complicated. Before I launch in to that, some housekeeping: in my last post I mentioned that I was about to have some steroid injections, but because of admin-y things that post was written a few weeks before it was published. So basically, we’re fast forwarding, and although I’m still set on writing a gleefully graphic account of the knee injections I’m going to postpone that for now (sorry gore fans) and focus on something a bit more current. So, instead of your average ‘Back 2 Skool’ post I thought I’d list some ways that having arthritis can affect university life, and some of the ways I make the best of it. No, not in that way – the actual logistics of getting around campus! One of my fondest memories of my Cambridge interview was being led to the Disability Office, which was on the second floor. Up a steep spiral staircase. With no railing. At least the irony of that made me feel better when my rejection letter came through. Wherever you go, you can guarantee that campus is going to be much bigger than school. Luckily these days most universities do make their campuses accessible, so it might be worth looking in to things like free bus passes, downstairs study areas, or even just a handy short cut. This was one of the most positive outcomes of my RA: not only did I get permission to have a mini-fridge in my room in my first year (my injections need to be refrigerated) I also got it on the cheap! At the time I was really embarrassed whenever someone asked what it was. I even worried that my housemates would hear it whirring through the walls. But, really, who doesn’t want a mini-fridge in their room? So, if you don’t fancy keeping your medication in the main fridge with your housemates’ mouldy milk I highly recommend it, especially if you can get one big enough for an additional tub of emergency ice cream. Since going on Benepali and finding out that one of the risks is contracting tuberculosis I’ve googled and re-googled the causes/symptoms/prognoses of TB at least eight times and reassured myself that I’m pretty unlikely to catch it off any passing freshers on campus. That doesn’t change the fact that immunosuppressants, well, suppress your immune system, and so two weeks of freshers’ flu could quickly turn in to two months. My advice is to stock up on Strepsils, ignore the people who roll their eyes at you as you cough up a lung mid-lecture and look on the bright side: if you have a particularly boring seminar you will always have a convincing excuse to skip it. As a history student I’d signed myself up for some long exams, and that’s not to mention all the hours sitting in the library cramming for them. This is where one of the paradoxes of RA kicks in, because although that much sitting down might sound ideal for someone in a flare, its actually almost impossible to get comfortable when your joints are full of fluid. Then, when you attempt to stand up, you realise they’ve locked, and you end up doing a weird, stooped shuffle towards the vending machine. My way around this is to make sure I get up and walk around the library at least every hour- it was painful at first and I may have looked like a crazy person (or just a dedicated procrastinator) but it did help a lot both physically and mentally. There are quite a few more ways that I could list but I’m already pushing it a bit with the word count, and I’m also aware that this offers a slightly negative angle on being a disabled student. The positive side is that you CAN get around these things, you just have to figure out what works for you and 9/10 times your university can help you. Also, it’s worth remembering that campuses are pretty liberal places and although your friends and teachers might not understand, you’ll find that most people accept you anyway. I spent a lot of time worrying what people would think if they knew I had RA, when I really didn’t need to. So, if you are a spoonie who’s just started or re-started uni, good luck, you’re going to smash it. If you’ve enjoyed Izzie’s post you may also be interested in the Arthur’s Place University Survival Guide. Why not have a look? Izzie is a 21 year old from London, who was diagnosed with JIA when she was 9 years old. 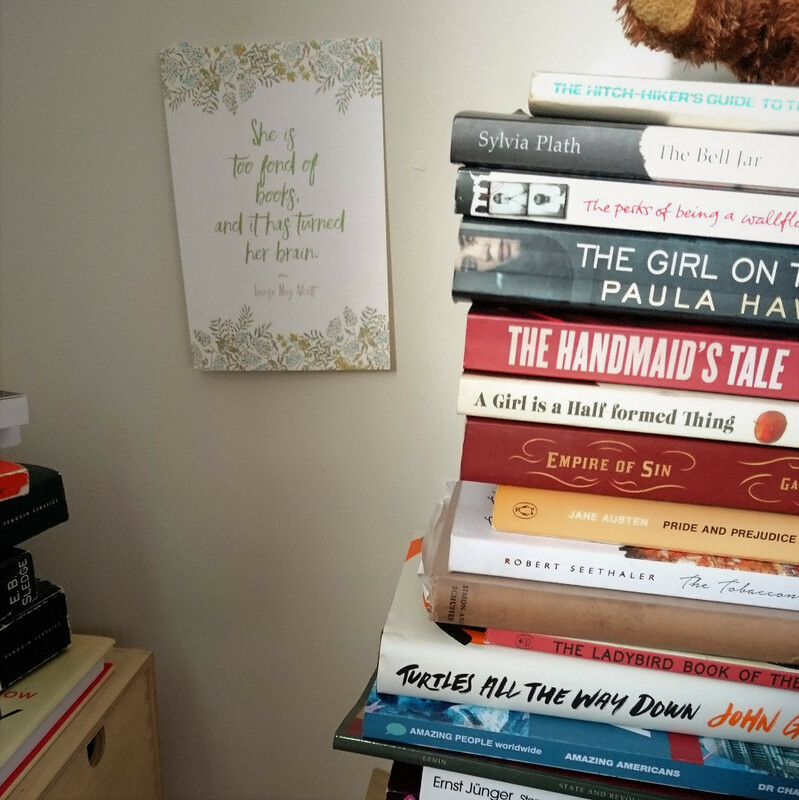 Now living in Yorkshire, she’s started blogging about the more joint fluid-y, injection-filled parts of her life, but is also a full-time MA history student who lives as actively as possible. Izzie spends far too much money in coffee shops, can put her foot over her head, and gets her sisters to send her pictures of her cat Willow at least twice a day.